This week we launched Street View images showing what it’s like inside (and outside) the Burj Khalifa in Dubai. We love taking Street View places it’s never been, and now we’ve added two firsts: the first collection in the Arab World, and the first one to feature a skyscraper. As if it’s not enough to visit the 163rd floor of the world’s tallest building, or ride an elevator traveling at 22 mph, we thought it would be fun to send our Street View camera outside the 73rd floor in a maintenance unit for a breathtaking view of the surrounding cityscape. So don’t miss that view, as long as you’re OK with heights. We go from high above the Earth to under the sea for news of the world’s first robot carp. A team of scientists in Singapore studied these freshwater fish and designed an autonomous underwater exploration vehicle. They plan to use this robofish to study tight spaces in underwater places, such as pipelines or the lost city of Atlantis. The researchers used cameras to record carp doing their thing, then created a mathematical model of carp movements to trigger actuators in their robot. Finally, let’s journey beyond even the Burj Khalifa, out into (pretend) space, where the Galileo Shuttlecraft served Captain Kirk and the crew of the U. S. S. Enterprise in the original Star Trek universe. This prop was originally considered too expensive for the production company to build, so Federation personnel had to make their way to and from planets by transporter instead. But the craft was eventually built and appeared midway through the first season, in 1967 (or stardate 2821.5, if you prefer). In the years since then, the ship has deteriorated. But now Star Trek fans and a shipwright are restoring the Galileo to its original glory, to be enjoyed by fans everywhere. Magnifico! Whether on the surface of the Earth, way down below the ocean, or in space, Fridaygram is always your ticket to fun nerdy stuff. Speaking of space (and Star Trek), it looks like Voyager 1 has still not left the solar system, although it has entered a previously unknown area, far out there. This weekend, go and explore something new on your own! Developers play a crucial role in making the Internet relevant for Africans. This is why fostering a vibrant African developer ecosystem is very important to Google. 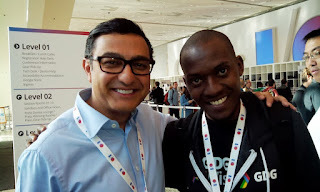 Developers and tech entrepreneurs from across the continent joined thousands of their peers from all over the world to explore the latest tech innovations at Google I/O 2013 in San Francisco. Several of them were members of the Google Developer Groups in countries such as Algeria, Burkina Faso, Egypt, Kenya, Republic of Congo, Togo and Uganda. 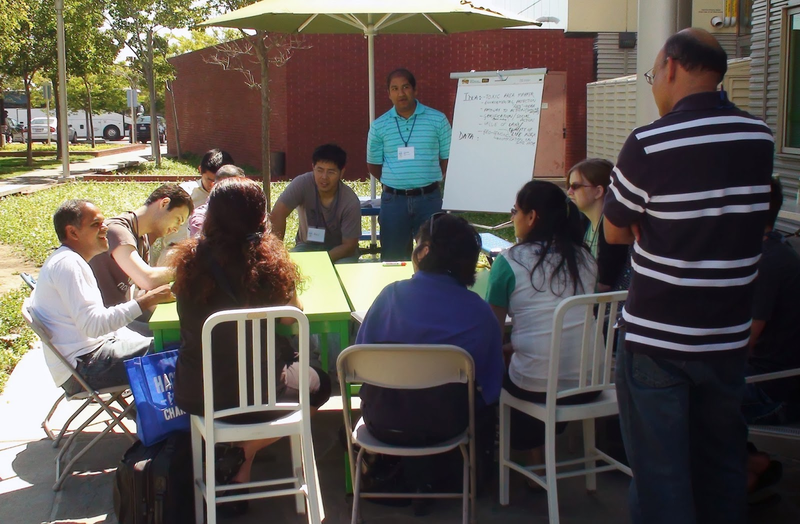 Luckily, participation was not limited to those who could make it to San Francisco’s Moscone Center. Developers back home were also able to get in on the action with more than 67 I/O Extended parties hosted by Google Developer Groups and Google Student Ambassadors across the continent where talks were streamed live to an excited audience. Maji Dashboards and Virtual Kenya from Upande: websites that utilize the power of Google’s Geo tools to make information about Kenya readily accessible for better decision making, development planning, and education. ReadyCash from Parkway Projects: a home grown mobile money service from Nigeria with an app that leverages the power of the Android platform to integrate a unique QR code based payment system. Matatu is an Android version of a local card game from Uganda. ASiM, developed by Olivine Technology, is a real time inventory management solution with an Android client and App Engine backend. 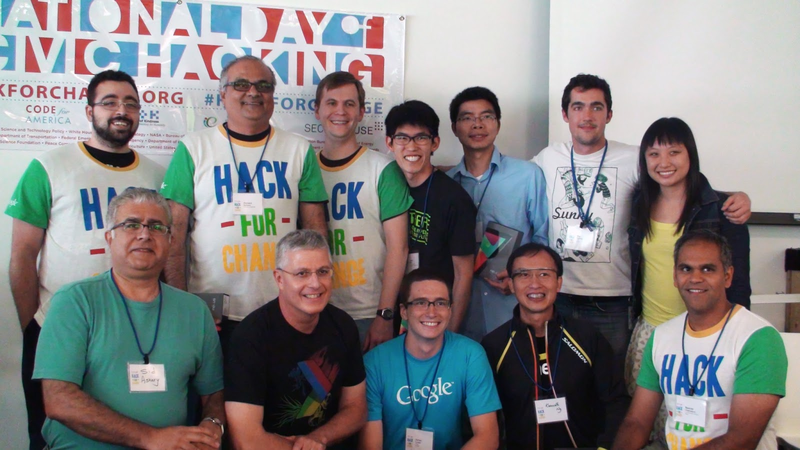 Remember AfriNolly – winner of 2011 Android developer competition? 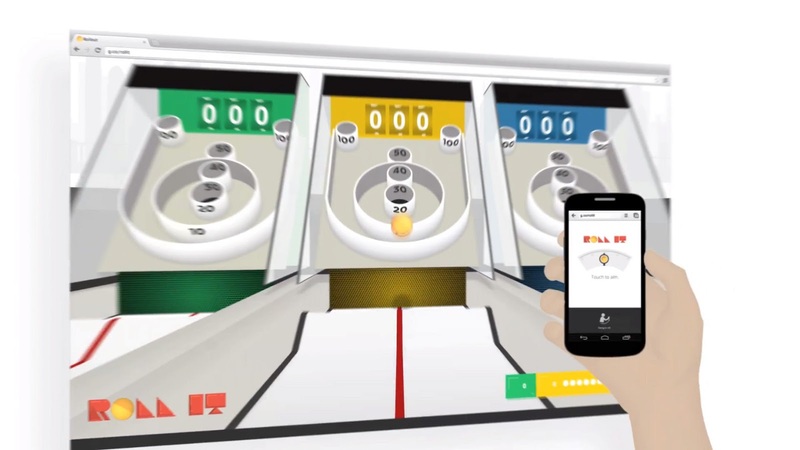 The app by Fans Connect Online now has over 2 million downloads across several platforms, with a new Android version support for 11 languages launched in May 2013. The Fans Connect Online team also ran a contest for African short films and created a radio show focused on the African film industry. Fred Sauer is a Developer Advocate for the Google Cloud Platform and long-standing member of the Google App Engine team. Fred hacks in a number of open source projects for fun and maintains a particular interest in game and web development. One year ago, we took the magic of Google I/O and brought it home with Google Developers Live (+GDL) - engaging with our developer community all year round, live, from our offices around the world. Nearly 1,000 videos and several million views later, we’ve seen you connect with Googlers and industry experts every day, gaining knowledge, sharing insights, and getting feedback on how to create incredible apps and leverage Google’s tools. Thanks to the combination of Google+ Hangouts and YouTube Live, you can now see our engineers face to face and gain up to the minute insights on +Android, +Google Chrome, +Google Cloud Platform, and many more. But Google Developers Live is not just all Google products, all the time. It’s an interactive platform for innovative applications, design wizards and entrepreneurs. We’ve hosted initiatives like Women Techmakers, Google Top Geek from Mexico City, Android Design In Action and Root Access, and we hear directly from the minds behind applications many of us use every day. It was on GDL where we saw Google Fellow +Sebastian Thrun introduce a new HTML5 course on Udacity. GDL debuted the Mirror API for +Project Glass. And it was on GDL where we first demonstrated YouTube API v3, went behind the scenes with Santa Tracker, and answered questions on the Blink rendering engine. And when we returned to I/O last month, it was Google Developers Live with wall-to-wall broadcasts, featuring exceptional guests like Megan Smith of Google[x], Bradley Horowitz of Google+ and Hiroshi Lockheimer and Hugo Barra of Android. While we love the live interaction, Google Developers Live is more than just live. Our archives make it easy for you to watch on your own schedule - in any order, on any product. Although GDL is only a year old, we’re now broadcasting from Mountain View, New York, Sydney, Tokyo, Milan, Moscow, Buenos Aires, and many places around the world, to bring you the latest Google tools for developers in your time zone, in your language. And we’ve got a lot more planned. So make sure you don’t miss a show, by subscribing to Google Developers on YouTube and staying tuned to https://developers.google.com/live/. You may have seen our recent demo of Racer at Google I/O, and wondered how it was made. So today we wanted to share some of the web technologies that made this Chrome Experiment “street-legal” in a couple of months. Racer was built to show what’s possible on today’s mobile devices using an entirely in-browser experience. The goal was to create a touch-enabled experience that plays out across multiple screens (and speakers). Because it was built for the web, it doesn’t matter if you have a phone or a tablet running Android or iOS, everyone can jump right in and play. Racer required two things: speedy pings and a consistent experience across screens. We delivered our minimal 2D vector drawings to each device’s HTML5 Canvas using the Paper.js vector library. Paper.js can handle the path math for our custom race track shapes without getting lapped. To eke out all the frame rate possible on such a large array of devices we rendered the cars as image sprites on a DOM layer above the Canvas, while positioning and rotating them using CSS3’s transform: matrix(). Racer’s sound experience is shared across multiple devices using the Web Audio API (available in latest iOS and Android M28 beta). Each device plays one slice of Giorgio Moroder’s symphony of sound—requiring five devices at once to hear his full composition. A constant ping from the server helps synchronize all device speakers allowing them to bump to one solid beat. Not only is the soundtrack divided across devices, it also reacts to each driver’s movements in real time—the accelerating, coasting, careening, and colliding rebalances the presence of every instrument. To sync your phones or tablets, we use WebSockets, which enables rapid two-way communication between devices via a central server. WebSocket technology is just the start of what multi-device apps of the future might use. We’re looking forward to when WebRTC data channels—the next generation of speedy Web communication—is supported in the stable channel of Chrome for mobile. Then we’ll be able to deliver experiences like Racer with even lower ping times and without bouncing messages via a central server. Racer’s backend was built on the Google Cloud Platform using the same structure and web tools as another recent Chrome Experiment, Roll It. To get an even more detailed peek under the hood, we just published two new case studies on our HTML5 Rocks site. Our friends at Plan8 wrote one about the sound engineering and Active Theory wrote one about the front-end build. You can also join the team at Active Theory for a Google Developers Live event this Thursday, June 13, 2013 at 3pm GMT for an in depth discussion. Pete LePage is a Developer Advocate on the Google Chrome team and helps developers create great web applications and mobile web experiences. In March we announced that CalDAV, an open standard for accessing calendar data across the web, would become a partner-only API because it appeared that almost all the API usage was driven by a few large developers. Since that announcement, we received many requests for access to CalDAV, giving us a better understanding of developers’ use cases and causing us to revisit that decision. In response to those requests, we are keeping the CalDAV API public. And in the spirit of openness, today we’re also making CardDAV – an open standard for accessing contact information across the web – available to everyone for the first time. 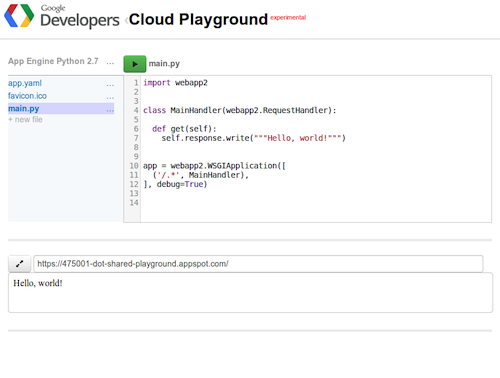 Integration with the Google APIs Console. To start using CalDAV or CardDAV in your project, just enable it in the Console. Piotr Stanczyk is the Tech Lead of the Google Calendar APIs group. His current focus is to provide next generation Calendar APIs which make developers’ lives easier. He also participates in CalConnect consortium.